SAN DIEGO, CA — March 12, 2013 – Fallbrook Technologies Inc. (Fallbrook) and 9:ZERO:7 have announced that the 2013 Tusken, the first fat bike to pair Fallbrook’s continuously variable NuVinci N360 transmission with the Gates Carbon Drive CenterTrack™ Belt Drive System, is now available for order at www.fatbikes.com. The NuVinci N360 is the latest generation of Fallbrook’s award-winning continuously variable planetary (CVP) transmission for bicycles. 9:ZERO:7, based in Anchorage, AK, is a leading fat bike manufacturer. “We are very excited to be featured on the Tusken, the first model in the fast-growing fat bike segment to feature the NuVinci N360. 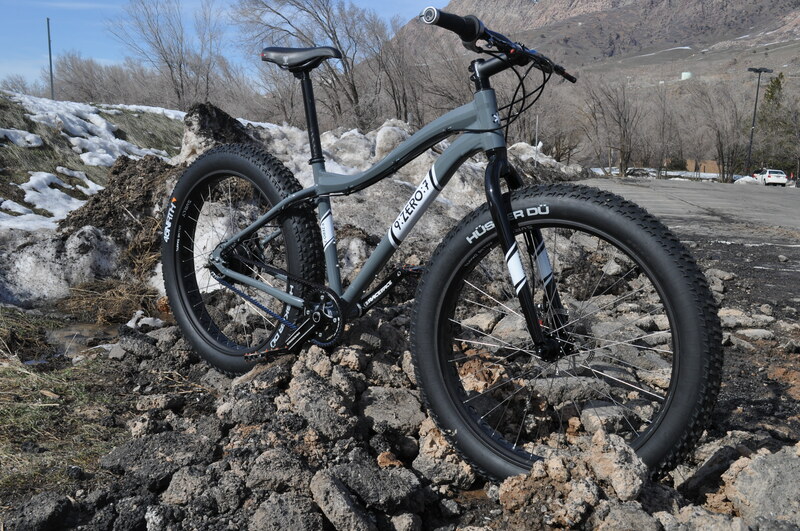 This quiet, seamless shifting, maintenance-free drivetrain makes pedaling the Tusken even more efficient — enabling riders to keep those fat tires rolling through snow, mud and sand,” said Geoff Petrangelo, sales and business development director for Fallbrook. The NuVinci N360 provides riders with an infinite number of gearing choices between the highest and lowest ratios, a full 360 percent ratio range. The CVP transmission provides seamless, continuous shifting (even under high pedal torque), without power interruptions, missed gears or dropped chains. The intuitive NuVinci shifter’s feather touch and visual display are easy to use, allowing the rider to easily increase or decrease pedaling exertion. The NuVinci N360 hub is a compact, weather-sealed system requiring no maintenance. 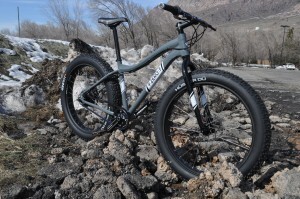 “We think that fat bike riders everywhere will appreciate the Tusken’s versatility, dependability and performance in the most extreme riding conditions,” said Scott Sunderman, sales manager for 9:ZERO:7. The Gates Carbon Drive system featured on the Tusken uses a carbon-reinforced belt instead of a chain, which is exceptionally long lasting, virtually maintenance-free and nearly silent. The system sheds mud and debris while ensuring that the belt stays firmly in place. The Tusken also features cutout Rolling Darryl rims, carbon handlebars, and the new Race Face Turbine crankset. Fatbikes.com offers a complete Tusken fat bike package in three sizes (S-L). Bikes are shipped with frames, parts and complete built wheels. Priced at $2,950, the Tusken is available in anodized black and painted grey. To learn more about the NuVinci N360 drivetrain, visit www.nuvinci.com/cycling. Fallbrook’s NuVinci® continuously variable planetary (CVP) technology improves the performance and efficiency of machines that use a transmission, including bicycles, electric vehicles, automobiles, agricultural equipment, wind turbines and others. The NuVinci technology offers companies the flexibility to design and produce next-generation products that are better tailored to their unique business, market and competitive requirements. Fallbrook’s latest innovation is the Harmony™ automatic shifting system for bicycles, which generates a totally new and efficient e-bike riding experience. Fallbrook has built an extensive portfolio of over 500 patents and patent applications worldwide. The company intends to continue its research and development activities to enhance the performance and capabilities of NuVinci technology. For more information, visit: www.fallbrooktech.com.